A few months ago when I was shopping for business professional clothing, I vividly remember standing in front of the mirror staring at myself in a suit, blazer and all, thinking, “I look ridiculous.” The mere idea of seeing myself in the professional world seemed silly and unrealistic. Now, with less than a month remaining of my work in Congresswoman Clark’s office, I have begun to feel comfortable imagining myself in the “adult world.” Over the past few weeks I have experienced a job I don’t hate, I learned that I can handle a 9 to 5 job, and even after weeks of sometimes monotonous work there are still things I get excited about every day. The way a government internship works is that there are different “hot topics” that are the buzz of that week or month. For my time on the Hill so far, those topics have included separation of families at the border, Trump’s tariffs, the Russia investigation, the farm bill, and more. Every time there is movement on those relevant issues, you see a small difference being made and you feel a part of it. Something that drew me to D.C is that no matter what your role is, you feel as if you are part of something larger than yourself. Social justice is something that has been important to me, even before I could put a label on it. When I was little I would tell people when I grew up I wanted to be a superhero because I wanted to make a difference. Now I go to a university where social justice is a literal pillar and runs through everything Brandeis does. Through my government internship this summer, I feel as if I have experienced social justice through a new lens. Something I have learned is that if you agree with whoever you work for, social justice jobs are inevitably rewarding. Every time a constituent calls and thanks us for our hard work, every time a project is completed, an amendment we were rooting for passes, or your member does something that you are excited about, you can’t help but think how proud and honored you are to work in this office. At the same time, however, this work can go unnoticed, underrated, and under-appreciated. Many times, social justice work is usually a behind-the scenes-movement that is necessary, but also forgotten. Constituents call and question what we are doing about this or that and forget about all that we have done for the issues they called about only a week ago. Because of that, I don’t think jobs driven by social justice are for everyone, but for me, there is still that little kid inside with a towel around her neck flying behind her like a cape, hoping there is an opportunity to make a difference. 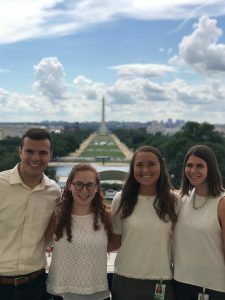 For anyone considering or planning on doing a Hill internship, it’s important to know that your experience is what you make of it. 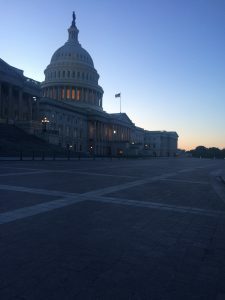 Working in a congressional office allows you to take on a possibly difficult, possibly intimidating position, and gain confidence in ensuring you are doing work you care about. The more you are willing to take on, the more you are willing to try new things, go to hearings, do things you have never done before, the more you will get out of the opportunity. Being a “Hilltern” is unlike any other job I’ve ever had, but the amount that I have gained and learned so far has been incredible. I would highly recommend this internship for someone who is trying to challenge themselves in the policy/politics world. While mistakes might be made–you will probably get lost countless times in the tunnels, and there will be moments when you have no idea what you are doing–this job also brings times when you will feel absolute pride in the work you are a part of, and that is why it is worth it. This is my first experience working a 9-5 job. Because of that, I have learned a great deal that expands over all fields, and I have also learned about a lot about myself. I have learned about what is important to me in a work environment. I learned that I am a big snacker, but I like to bring my own lunch. I learned I very much like to get up during the day, go for a walk, or just do something semi-physical as opposed to sitting at a desk all day. I’ve also learned that I am very comfortable speaking to people in person and on the phone, and I have been able to develop that skill through my work in the congresswoman’s office. Public speaking is a critical skill in every and all settings and I am excited that I am able to utilize and strengthen this skill in my work this summer. I have gotten much better at talking to people that do not share the same views as the congresswoman and may be harsh or angry, and I have simply gotten much more comfortable answering the phones for anyone. I have also been given the opportunity to improve my writing skills, a skill that, like public speaking, is relevant and useful in all walks of life. My internship challenges me through researching and writing on topics I am not as familiar with, allowing me to broaden my scope of what I can truly understand. There are times when I feel I am starting a project from nothing, but after trial and error, I get to a place where I feel confident in my ability to convey the topic. I also very much consider my job, working for the government, to be a privilege. I feel like almost every week I am given the chance to take on a new opportunity because of where I get to work, and from that I am learning more about how the government literally funtions. This past week I helped our legislative director prepare for a major appropriations markup for the Labor, Health and Human Services, Education, and Related Agencies committee. I helped handout my member’s amendments, kept the staffer updated on major organizations stances on introduced amendments, and I even got to listen for a bit. This markup ended up being over thirteen hours long, so you can only imagine the hard work and time put into every major bill. In addition to the skills mentioned above, I have also, in the simplest terms, become a more well-informed citizen. I have developed the habit of reading the news daily through different mediums. I feel comfortable talking about what is going on in today’s world, and I am excited to continue to learn. 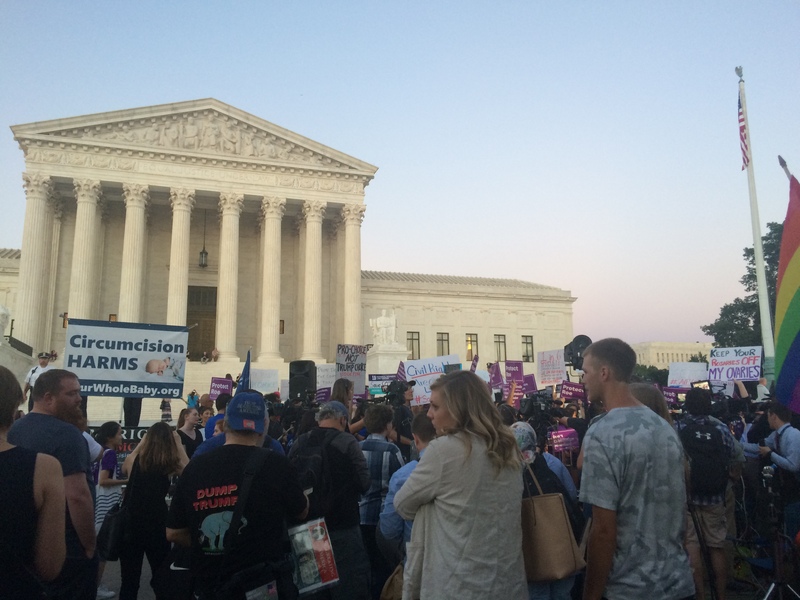 For example, Monday evening I stumbled upon the protests happening outside the United States Supreme Court in response to the pending announcement for President Trump’s justice nomination. I was literally counting down the minutes to 9pm to go online and find out who was the president’s decided nominee. I honestly cannot tell you another time when I was on the edge of my seat waiting for a news release to happen. This is a habit I am proud to have nurtured, and I believe it will help me in my future work as a social justice advocate. You cannot present your greatest work if you are uninformed. But it is the skills I talk about here among others that I believe will continue to help pave the path for me to be a better student, citizen, and learner. This past week has been very relaxed here on the Hill. Because of the holiday and shortened week, we were not in session at all, which means fewer suites, fewer meetings, and an overall calmer office. Because of the quieter work environment, this week has given me the chance to get to know the other interns in the office better and feel a little more comfortable in the office. During my down time and not-so-crazy days, I’ve been able to do a bit of exploring both on and off the Hill. 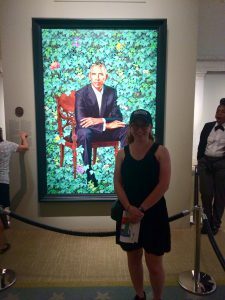 Check out this picture of me representing Brandeis in front of the beautiful portrait of former President Barack Obama! 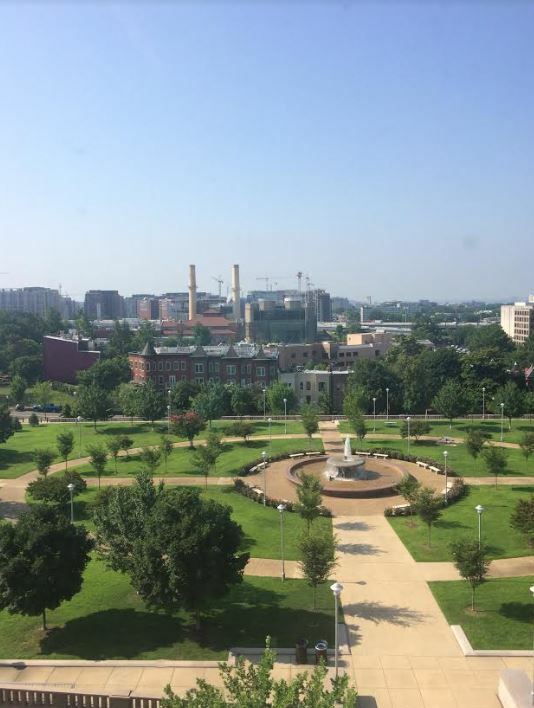 The interns in my office also took this week to check out the best view in all of DC: the Speaker’s Balcony. Did you really do a Hill internship if you don’t have a picture like this?! Hint: the answer is no. All four interns from Congresswoman Clark’s office enjoying the view from the Speaker’s Balcony in the Capitol! Besides my DC explorations, my time at my internship has allowed me to better understand the behind the scenes process of the federal government and how change really happens. The overall goal of any member of Congress or the Senate lies in the concept spoken by Abraham Lincoln, “that government [should be] of the people, by the people, for the people…” Working for Congresswoman Clark, I have seen firsthand how a member uses their power and their beliefs to mold our country for the better. That description is the exact social justice goal of the government, of any member, any staffer, and even any intern. This is then accomplished through understanding all aspects of our country, and then sponsoring, cosponsoring, opposing, and amending legislation that may affect those different aspects. For example, a bill that recently passed both the House and the Senate called the Farm Bill threatened cutting food stamps (the SNAP program), among many other things it achieves. The Senate version that was passed amended that part of the bill so the SNAP program is protected. The House will then have to vote again on the Senate version of the bill, and I, among others, hope that the SNAP program remains protected. This is just one example of different views and changes that could happen when trying to enact a piece of legislation. The different parties and members have diverse priorities that create tension but also awareness of issues that need to be considered. 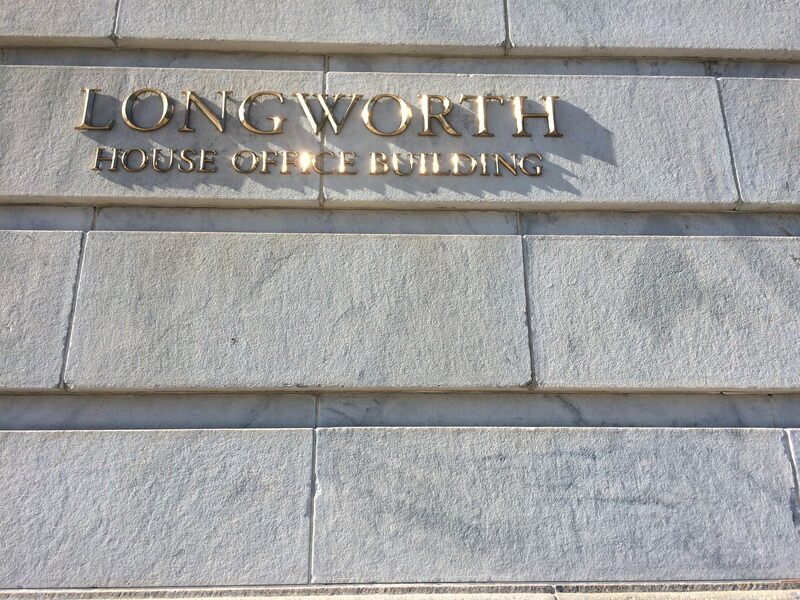 The name plaque in front of our office in Longworth! Overall, the legislative process is incredibly complicated and unpredictable, which makes explaining it in a short blog nearly impossible. But one day an intern could be doing research of a recently introduced bill, next the member may cosponsor it, and after moving through committee it could get passed through the House! But the likelihood of it ever going that smoothly is incredibly slim. If you are interested in understanding the craziness that occurs in the legislation process, I recommend you read “The Dance of Legislation” by Eric Redman. It does a better job than I can ever do describing the uncertainty yet significant steps of the process. While many of the ideals in government of creating the best America we can stands true for almost every government official, the different views of how they should be enacted between parties makes achieving these goals very difficult. I have been very lucky to be given the opportunity to see this social justice work with a member whose ideals align with my own, but I cannot emphasize enough how getting anything done in government is no easy task. But something I always try to highlight is if you want to see change, call your representative, share your thoughts, and who knows, maybe I’ll pick up! 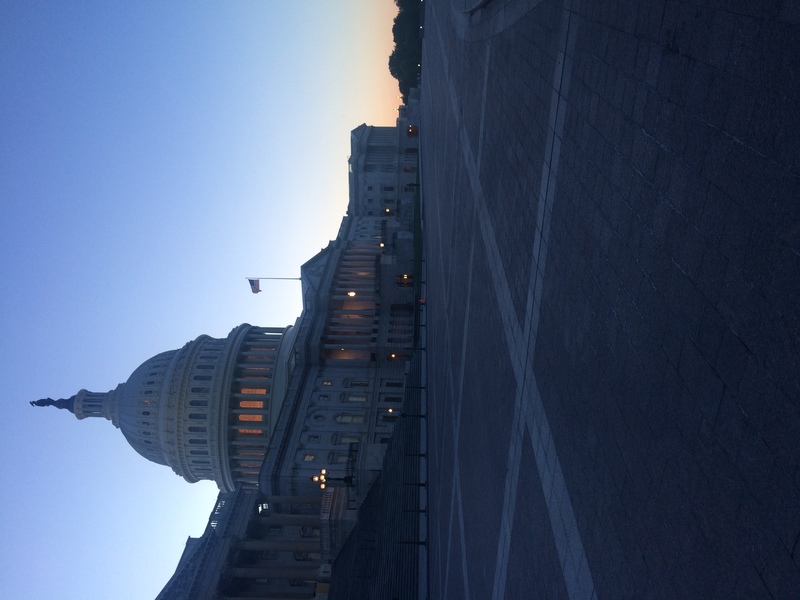 Post 2: From Brandeis to the State House to Washington D.C. This past spring semester I had the privilege of taking Professor Stimell’s Advocacy for Policy Change class, which allowed me to explore the field of policy through a singular Massachusetts mental health legislation. 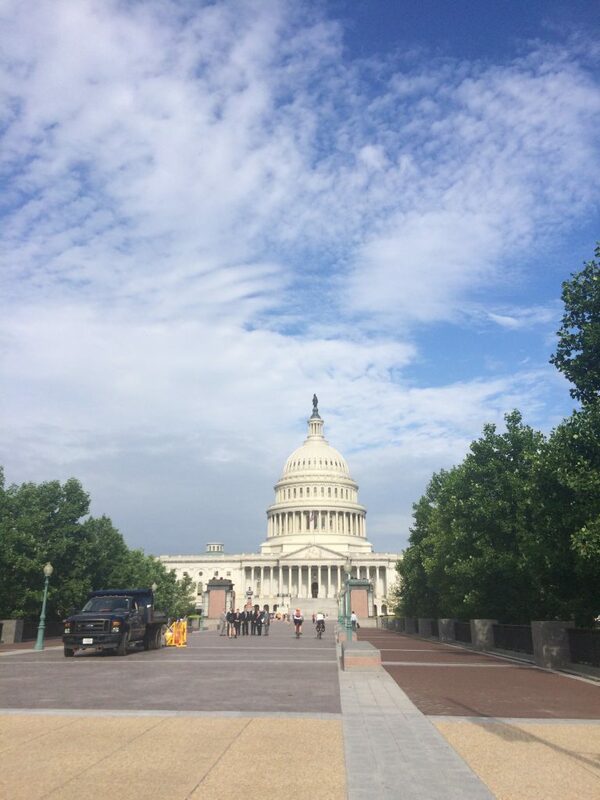 This course allowed me to speak with professionals in legislation, policy, and mental health, and ultimately was the driving factor that inspired me to work on Capitol Hill in D.C. this summer. 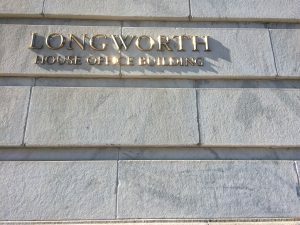 Now, instead of walking into the Massachusetts State House as an advocate, I am walking into Longworth House Building as staff, hopeful for the work coming my way. 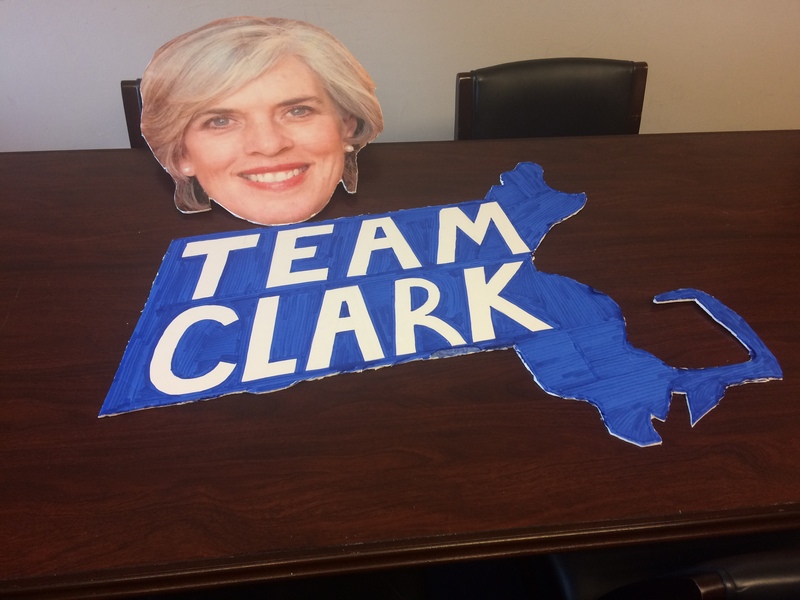 My experience learning about the legislative process and seeing it through the eyes of an advocate has allowed me to translate that knowledge into my work for Congresswoman Katherine Clark. I feel as if I can better relate to constituents and advocacy groups because I have been in their shoes. I know what it is like to be an advocate fighting for social justice, and it has been eye-opening now being on the other side of the conversation. I feel much more well-informed in the process and I better understand how constituents and advocates are taken into account. 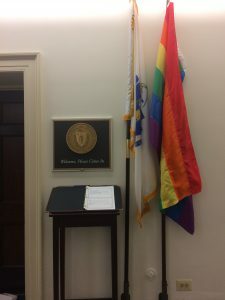 At the same time, it is important to understand that, working for a Massachusetts representative, most of the time the constituents and the congresswoman are on the same side of an issue. 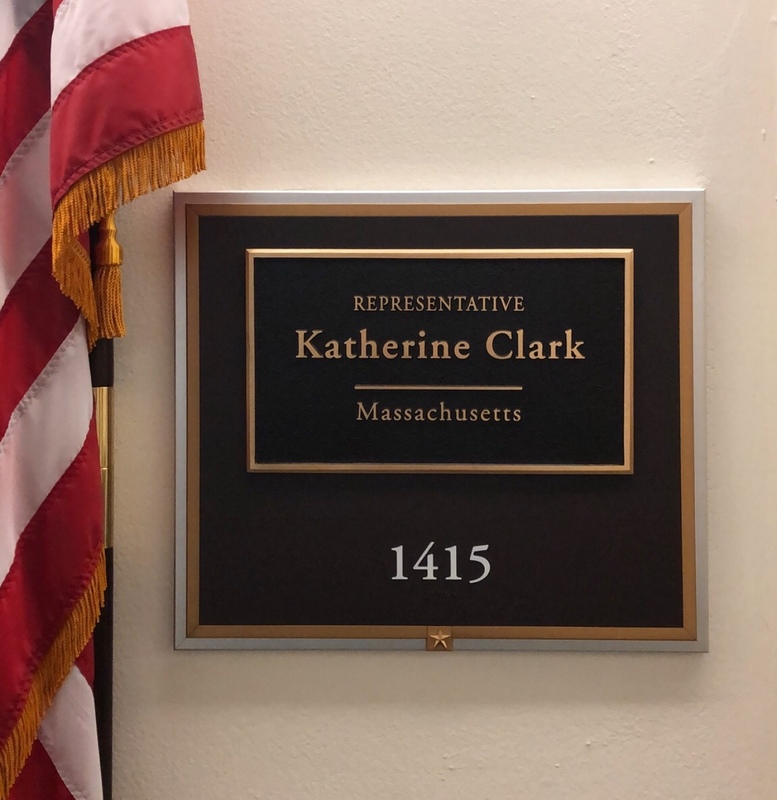 As a dedicated advocate to social justice, I am looking forward to continuing my journey working in Congresswoman Clark’s D.C. office, grappling with hot-topic policy issues and working hands-on with legislative work. Just this week, after working on a bill memo for H.R. 1298 – CT Colonography Screening for Colorectal Cancer Act, which would cover computed tomography colonography (CTC)–a less invasive colorectal cancer screening for medicare patients–they decided to sign my congresswoman on as a cosponsor. I was able to utilize my interest and passion for health in my work on the Hill. Some other work I was able to do this past week was to go to a hearing and a briefing on health-related topics. I went to a hearing on reducing the costs of health care in America, where four different advocates from various roles in the medical field explored ideas that may help the critical problem of increasing healthcare costs. It was fascinating hearing their ideas developed from their first-hand experiences, and hearing how the senate committee reacted and commented. For example, one doctor suggested the need for price transparency in order to help the consumer better understand what they are paying for, as well as increase competition. In response, a senator suggested that it would only work if there was a quality evaluation paired with the prices, because otherwise consumers would constantly make the mistake of assuming expensive equals quality. The briefing I had the privilege to attend was about Community Living Centers (CLC) for veterans that received low, one-star, ratings. The purpose of the briefing was to explore the reason for these low ratings and discuss the effort being made to reverse them. 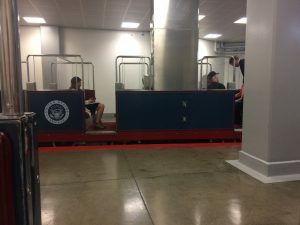 Both of the events were in Senate buildings, so I also took the opportunity to explore my way from House to Senate in various ways. 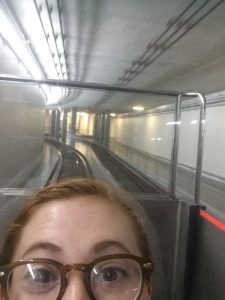 Below is a picture of me taking the underground Capital shuttle from the Senate building to the Capital! I’m still working on not getting lost, but the exploration never seems to end! In both my experience at the hearing and the briefing, I was able to take in the information from the speakers and members both as a staffer and an advocate alike. There were people in the audience filling various roles, and we were all there for the same purpose: a better understanding of the information. It was an opportunity where I was able to combine the roles I’ve played in advocacy, and continue my journey working for social justice and the topics I am passionate about. Author srose0706Posted on July 4, 2018 Categories Recipient of Social Justice WOWLeave a comment on Post 2: From Brandeis to the State House to Washington D.C. While working on the Hill and being able to commute past the Capitol on a daily has its perks, there is definitely a lot more to a Hill internship than the fancy suites and building access. People keep telling me how it must be a great or horrible time to be working on the Hill because it is so eventful, and everyone, no matter who you are, has an opinion about it. Despite some of the things happening in our country, I can truly see the work that is being done to combat them in my office. Just in my first week, I was given the opportunity to write a bill memo on legislation that has the potential to increase compliance with colorectal cancer screenings and decrease costs. As someone studying health policy, I felt lucky to have been able to research and argue in support of this legislation, and I am looking forward to seeing what becomes of it. Let me tell you, C-SPAN has never been so interesting. I am proud to work for a woman who understands the cruelty happening at our border, and I am looking forward to seeing the work she plans to do in response. Besides speaking with constituents and writing bill memos, some of my other work includes writing bill update letters, doing projects for the staffers, delivering things and collecting signatures to/from offices. There are four total interns in the office and we work together to manage our daily tasks logging every message from all mediums from MA district 5 constituents. We also, as an office, went to the Congressional Softball Game on Wednesday 6/20/18 where we supported KC and other members competing against the media before the rain started! Overall, I believe it is my work, along with the other interns, that keep the connection strong between KC’s office here in D.C. and her relationship to her constituents. We are the go-tos when people want to make a comment, reach out to a staffer, have a question, want a tour, etc. I am incredibly excited for my upcoming weeks, and while week one was exhausting I know there is more to learn. I hope to build a relationship with the staffer that focuses on health and continue to pursue relevant projects. I also hope to continue to be more informed about the policy being developed for the nation, literally in my workplace. Most importantly, I hope I am never not in awe of the incredible Capitol building that I have the privilege to walk through every day.